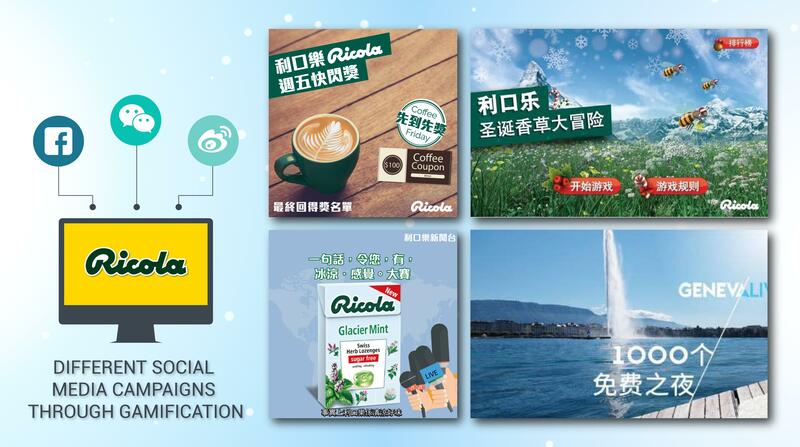 Ricola is a well-established Swiss throat lozenge maker.Given the presence of popular local brands, Ricola had a limited brand awareness among Hong Kongers and Chinese audience. To project a positive brand image and sustain brand awareness cost-effectively. Incorporate Facebook, WeChat and Weibo and use localized content in social media campaign. Introduce an incentive-driven social media campaign in Hong Kong and regular mini games on WeChat or Weibo Enhance user engagement and website traffic through cooperation with famous Key Opinion Leaders targeting middle to higher class audience. Incentive-driven campaigns always gain more engagement. Posts are good for brand building on new product features. Cooperation with famous KOL can help promote the campaigns to a large group of potential customers. Enhanced user engagement with its various social media. Helped Ricola emphasize the brand message of “Herbs, Natural and Switzerland” which enhances its competitive edge.